In recent years, in the global laser market, industrial lasers maintain a sustained growth momentum, of which fiber lasers become a major bright spot. Due to the rapid development and maturity of material processing applications, fiber lasers have maintained a rapid growth. In 2015, Fiber laser has occupied 37% of the global laser material processing market share. A recent market report by BCC Research predicts that the fiber laser market in 2020 will reach 1.9 billion U.S. dollars at a CAGR of 8.5%. In just five or six years, fiber lasers set off a technological revolution in laser cutting with a variety of technological advantages. Today, the demand for high-power fiber lasers continues to grow, and applications are beginning to slowly penetrate the fundamental fields of automotive, marine, aerospace and other fields. 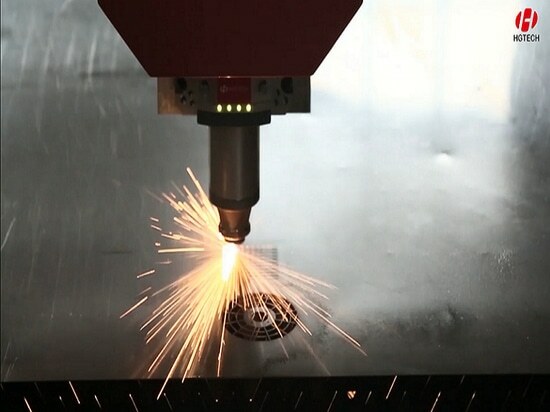 Fiber laser cutting machine development momentum ferocious, where is its advantage? 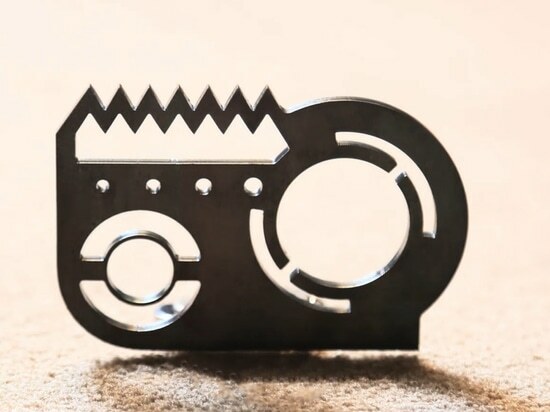 Compared with the traditional punch processing, fiber laser is non-contact processing, resulting in less stress, low noise, fully capable of high-reflective materials such as aluminum, copper and other bulk processing. Compared with CO2 laser processing, fiber laser electro-optical conversion efficiency of 40%, power consumption is only 1/3 of CO2 laser, processing speed increased by 2-3 times. Compared with CO2 lasers and solid state lasers, fiber lasers have unique advantages in terms of beam quality, efficiency and heat dissipation. 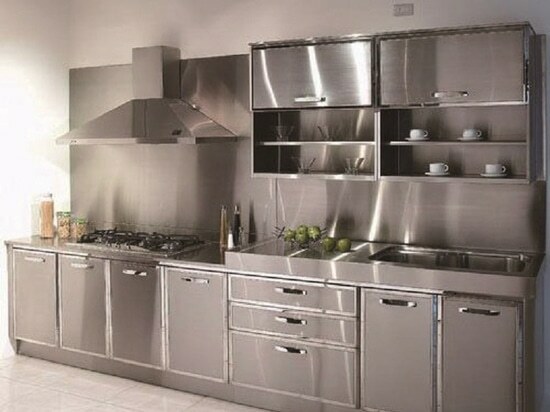 They also feature all-fiber, compactness and ease of industrialization. Therefore, in the field of metal sheet cutting and the like, a fiber laser cutter has gradually replaced a carbon dioxide laser. According to the statistics compiled by China Optical Society Laser Processing Committee, there are nearly 80,000 low-power fiber lasers, 12,000 medium-power fiber lasers and no less than 2,200 high-power fiber lasers in China in 2016 (the high power refers to 2000 W Above power) was installed on the market. 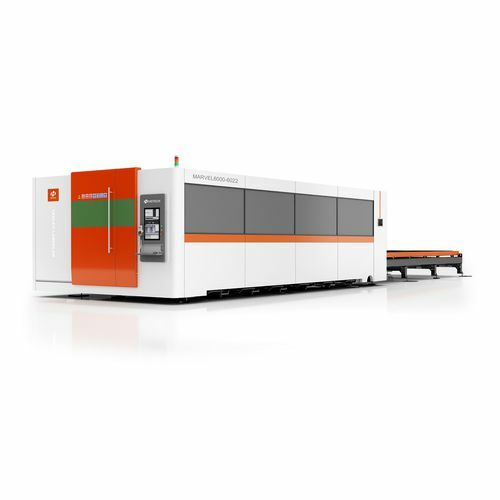 A 6kW fiber laser cutting machine is significantly faster than the 4kW and 2kW fiber laser cutting machines at the same time as any CO2 laser machine series. In the face of thicker plate, higher cutting quality market demand, high-power laser equipment, a significant increase in demand. 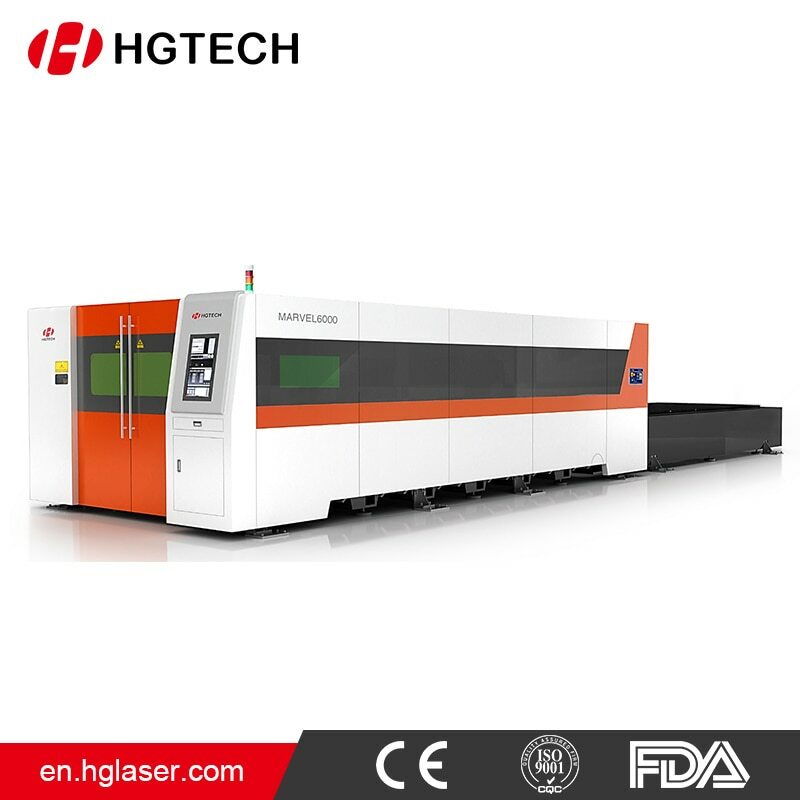 HGTECH has 46 years of precipitation, in the field of fiber laser cutting machine has unparalleled advantages. 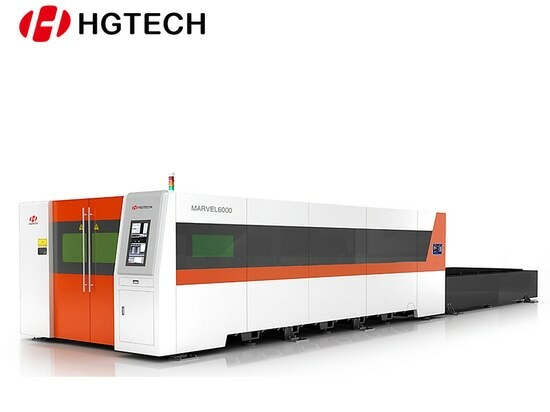 In response to the increasing demand for high-power fiber laser cutting machines, HGTECH introduced the MARVEL6000 series fiber laser cutting machine in September this year. 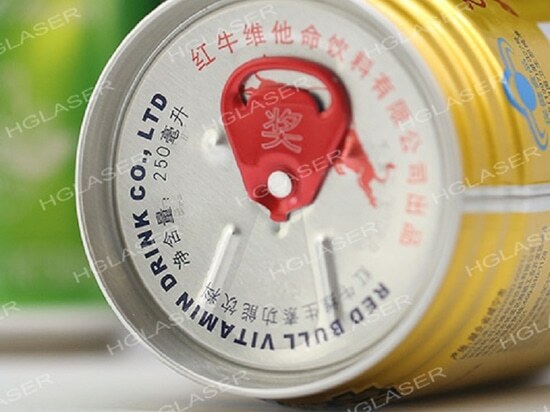 The sharp laser and the core light source were independently manufactured to effectively reduce the purchase cost and achieve the same cutting efficiency and quality of imported laser. And can be flexibly extended to 8000W, 10000W, to deal with the trend of fiber laser cutting machine toward high power. Fiber lasers have emerged as an efficient solution to the challenge of shrinking space between low volume orders and high capacity while providing higher power, higher output, lower cost, greater flexibility, so that manufacturers get higher profits, will be the unswerving pursuit of HGTECH.